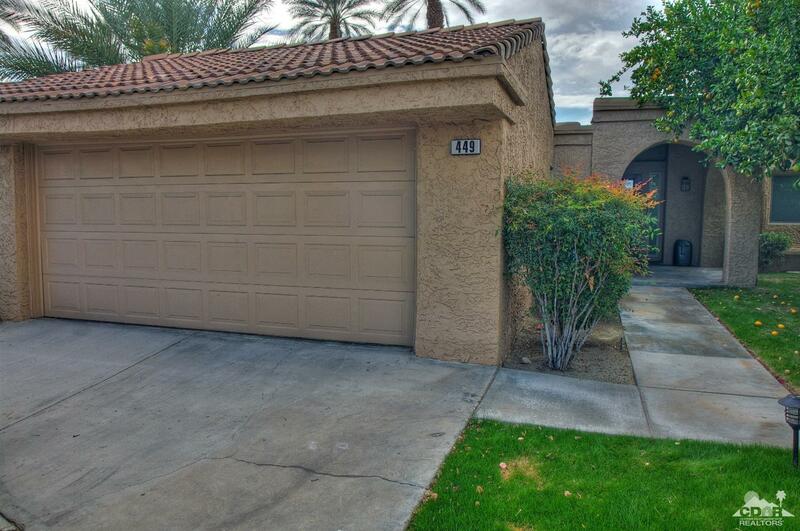 This completely remodeled condo, located in the guard gated Hidden Palms community in central Palm Desert, will take your breath away. The modern remodeled kitchen features newer (and plentiful) cabinet space, upgraded stainless steel appliances and stunning quartz counter tops. Light and bright Great Room with floor-to-ceiling gas fireplace. 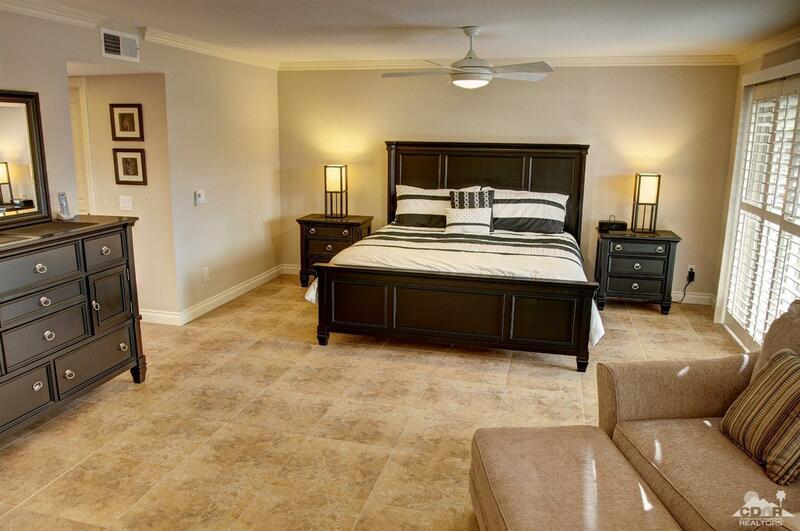 The enormous retreat-style master bedroom offers an abundance of space and includes a large TV or reading area. 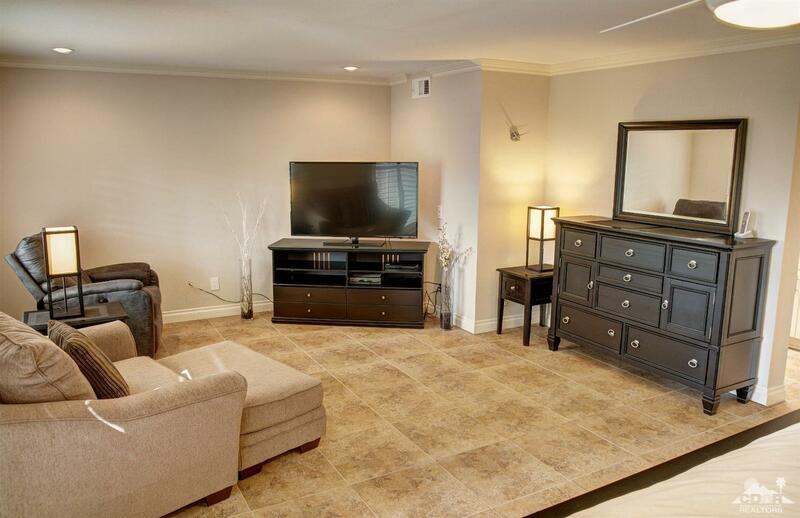 Both of the home's bathrooms have been remodeled and the home features tile floors throughout. Outside, a concrete patio, with stunning mountain views, extends around the rear and one side of this condo, providing more than enough room for all of the outdoor living that is such a big part of desert living; perfect for enjoying stunning sunrises and breathtaking sunsets. Hidden Palms offers 4 community pools and spas, 4 pickleball and 3 tennis courts, 3 lakes and plenty of greenbelt space with paved walkways.